Jeremy Hance is a freelance environmental journalist. 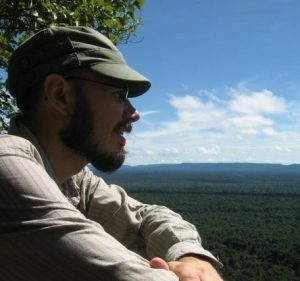 Currently he is a senior correspondent with Monagabay and writes a blog on the Guardian entitled Radical Conservation. He has been covering wildlife conservation issues, including the rising tide of mass extinction, since 2007. In pursuit of his stories, Jeremy has traveled to nearly thirty countries across five continents. He is also the author of a book of essays entitled, Life is Good: Conservation in an Age of Mass Extinction. You can follow him on Facebook or Twitter @jeremy_hance.